Cory Dobbs goes above and beyond making the case for team leadership and why it is a valuable leadership style. We are coaching in a changing world and our student-athletes are different. I am a big believer that it is our charge to teach leadership, more than ever before and sports can be by far, the best classroom. Cory’s book gets you started. 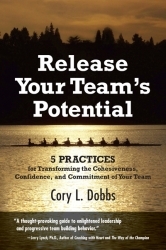 In Coaching for Leadership author, professor, and former coach, Cory Dobbs flips the coaching plan on leadership and team building. Rather than relying on “seniority” and “teachable moments,” coaches are invited to deliberately prepare every team member for a vital team building role. 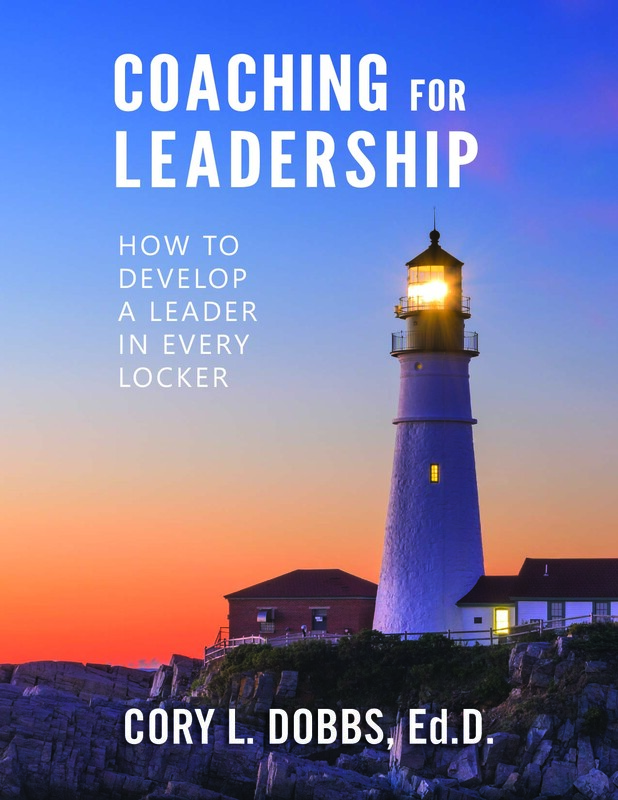 In this Guidebook, based on over ten years of practical research with college and high school coaches and student-athletes, Dr. Dobbs—founder of The Academy for Sport Leadership—presents a pioneering approach to coaching, leadership development, team building, and student-development. I must admit my professional bias towards the model of “A Leader in Every Locker” that Dr. Dobbs creates in this, his latest book. I too am a proponent of a shared leadership model and believe that leadership is not a gift reserved for a small minority, but that it can be learned and enhanced in most people. It is our responsibility as coaches, educators, and leaders to raise up a future generation of leaders. After all, isn’t helping others in their leadership journey the ultimate testament to our own leadership capacity? With this book Dr. Dobbs gives a clear and convincing argument to the importance and need to adopt this 21st century model and a path as to how to transform your leadership environment from hit-or-miss to intentional. Every coach is always searching for good leaders on their team. Coaching for Leadership will challenge you to take an in-depth look at yourself as a coach as well as your personal beliefs about leadership. Cory does raise the bar with an excellent guide which provides the “how to” in developing student-athlete leaders and a leadership culture. This book is a must read for new coaches as well as experienced coaches who want to develop their student-athletes, their program and themselves. As a high school athletic director “in the field” I have found Cory Dobbs and his materials to be a great asset to my personal mission, that of developing and fostering character and leadership in the student athletes that I have had an opportunity to serve. His most recent book “Coaching for Leadership” hits me right in the sweet spot. I am in full agreement when he states: “Coaching for leadership starts with the desire to make a sustainable difference in the lives of student athletes; it has to do with long-term value of students learning to lead and build high performance teams.” From that perspective, Cory Dobbs equips the reader with tools to get to work and challenges us to use those tools on EVERY athlete we serve, not just a few. I am a more skilled AD because of the influence Cory Dobbs has had on my own growth journey. A thought-provoking guide to enlightened leadership and progressive team building behavior. Not only are Cory Dobbs’ ideas progressive, but they are practical as well.